Kelly Ransom graduated with honors with a Master’s degree in Acupuncture from Tri-State College of Acupuncture in New York City. Prior to that she attained her Bachelor’s degree from Arizona State University. While studying for her Master’s degree she interned for two years with a well-respected acupuncturist in the Hudson Valley. At Tri-State she studied under master practitioners and received comprehensive training in three styles of acupuncture. These styles include Traditional Chinese Medicine (TCM), Acupuncture Physical Medicine (APM) and Kiiko Matsumoto’s Japanese Style (KM). Having knowledge and training in these three methods allows for many more treatment options and gives her the ability to choose the most appropriate acupuncture style or combination of styles that will be beneficial for each patient. After graduating from the acupuncture program Kelly decided to pursue the Chinese Herbology Program at TSCA. She integrates Chinese herbal formulas into her practice. These formulas are used to help restore balance to the body. Kelly is a knowledgeable practitioner who integrates the wisdom of thousands of years of medicine into her daily practice and always strives to provide her patients with the highest quality of care. Her goal is to give patients an opportunity to create meaningful progress towards healthier lives. "I had a bout with tendonitis of the shoulder about 20 years ago; the doctor gave me a shot of cortisone. Recently, the symptoms returned and lasted for months, so I went to see Kelly. I was quite surprised to feel relief after the first treatment, and I was pain free after the second. The pain has not come back and I didn't have to use steroids. Because I prefer natural healing, I will try acupuncture first for future ailments." "I have had problems with migraines and my sciatic nerve for years with not much relief through doctors. Pain meds, besides being unhealthy and addictive, offered little if any relief either. I decided to try acupuncture as an alternative and it was highly recommended to relieve some of the pain. To my surprise, with 1 session I felt amazing, mind you when I walked in I was in such pain I could barely walk. It's been almost 2 months and I have not felt the pain as I did before acupuncture treatments, it is gone. I will definitely be returning to try treatment for my tendonitis, as well as if my sciatic nerve starts in again. Thank you Kelly, you did an amazing job." 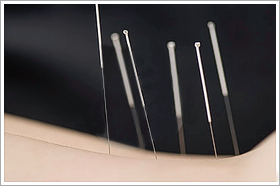 "I never dreamed I would go for acupuncture treatments, just the thought of needles made me cringe. However a friend recommended I see Kelly when my lower back caused me so much pain. I could not stand up straight. Kelly understood my apprehensiveness and took her time explaining what she would do. After only two treatments not only was I standing tall, I was pain free. Remarkable! I then had Kelly treat the tendonitis in my ankle with similar success. It's amazing... she's amazing. Thank you Kelly."